The police officer who was shot by a colleague after a quarrel on Friday evening has died at Levy Mwanawasa University Teaching Hospital, police Spokesperson Esther Katongo has confirmed. 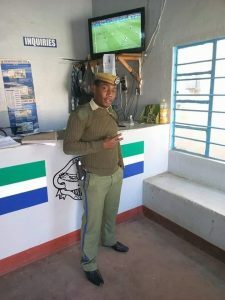 Constable Lennox Kapila, 26, of Munali Police Post was allegedly shot by Constable Edwin Kabasiya of Meanwood Kwamwena around 21 hours on Friday. Constable Kabasiya is reported to have gone to Munali Police Post where he picked up a quarrel with Constable Kapila and later shot him in the stomach with an AK 47 rifle.